We are no longer selling trees from our nursery, but here you will find expert advice and information about walnuts. 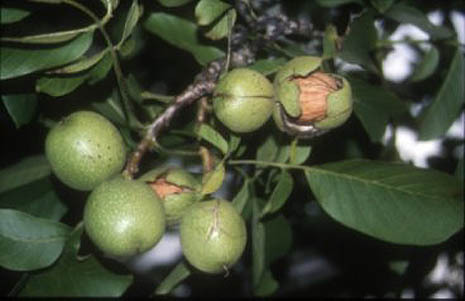 If you are looking for a beautiful spreading tree offering insect-free shade for your garden, a tree to produce delicious walnuts or green nuts for pickling, a great agricultural diversification crop, or a source of valuable timber suitable for agro-forestry then look no further than grafted walnut trees. Grafted trees are specifically bred for their quick, strong and reliable growing and nut production under British conditions, as well as interesting ornamental varieties and related species. Benefits of grafted trees - more robust, hardier and reliable growers.